This is a growing set of text links to sites that are good-hearted websites. Many of then are sites I like, and also those recommended by others. (Most recent additions are at the top). The Temple of Universality - The Temple of Universality celebrates the unity ofGod and man through spirit, worship, healing, and prophesy. The EDGE is a leading source in the United States for inspiration, education and information related to personal growth, integrative healing and global transformation. SylverShyne Library - as you open the oaken double doors, the scent of oils and old parchment fill your nostrils. Your eyes take in many shelves that are mostly empty for now... there are bins throughout the area to dispose of things, tables and chairs to sit and read. HEALING MOTHER EARTH - a "How To" with excellent step by step recommendations! www.inlightimes.com/ - On-Line version of Metaphysical Newspaper presents concepts for conscious living and spiritual growth. 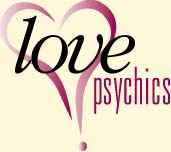 Feature stories, health, spirituality, astrology, reviews, more. WebFanatix.com - We go to Great Links for you! An adventure of heart and spirit. Real-life demonstration of the co-creative magic of following the heart. About of consciousness and love. After-Death Communication: An After-Death Communication (ADC) experience occurs when you are contacted directly and spontaneously by a deceased family member or friend, without the use of psychics, mediums, rituals, or devices. The site is hosted by the co-authors of Hello From Heaven!, Bill Guggenheim and Judy Guggenheim. It offers many interactive features, including several chat rooms and a message board. The Guardian Newletter - Enjoy environmental news, articles, classifieds, poems, purchase eco-products and toys, get info on seminars & conferences. Because our mission is to give you the facts so you can help protect, preserve and improve our planet. Are you ready to walk your talk ? You've come to the right place! Surf a "symphony of ideas" Play infinite games. Find the connection-the corewave that holds any 2 artifact of experience in common. Michael Levy's web site. Articles, Interviews, Spirit quiz, Poetry Contest, Books, Humaor Great links and much more. Ever wondered what religious tradition is most alligned with your thinking? This questionaire will help you select from 26 different ones. Dianne and Alan Collins teach people to QuantumThink, from a system of thinking based in the characteristics of our emerging new world view. Essay: Evolution of a collective or social mind or social brain. Term "social brain" first coined by Loren Eiseley. Explorations of consciousness and cosmology from Christian de Quincey. A search for an emerging spirituality and culture on the Net. Wide Open Windows to the only One Who Is. The Website with an open window to more then 800 Awakened Teachers. Support for individuals undergoing difficult Kundalini awakenings. Spiritual Consciousness for this level and beyond. Contains information about the great teacher and his teachings,which are universal and timeless. DO something about global warming. Here is a place where you can turn consciousness into action! 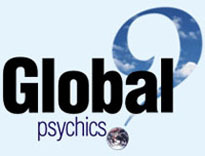 Homepage of Gary Douglas Smith, a healer. Research with Dr. C. Norman Shealy, testimonials and his story are posted. Founded with the belief that organizational life is the conduit to a renaissance of our society and institutions, Patricia and Craig Neal work to ignite the spirit and creative energies in individuals and organizations through their Thought Leader Gatherings and related programs. A haven on the web of quotes that change daily, inspiring graphics that change often and a meditation room sure to refresh all who visit. Reiki, products, chakras, aromatherapy, essential oils, meditation, flower essence, stretching, pyramid information. Share. CPSR is a public-interest alliance of computer scientists concerned about the impact of computers on society. Consciousness Website,links to Qabalah tree of life and Mythology. A profound site dedicated to primacy of consciousness. Go in click and feed people...sponsors pick up the tab. Site for one of the few psi research laboratories in the United States. What would be a quantum leap in your intuition and what will it it take to create/support a leap like that? A spiritual "hub" on the Internet. ACIM discussion. Channeled work. A place for workers in the Light to stand up and be counted. A Study of Consciousness and Behaviour which starts with the essential acknowldegement of the world situation - especially overpopulation. PLANETWORK explores the ways that information technology can contribute to creating a sustainable future. Future human consciousness explored and found to be achievable now. Also includes new economic model. Spirituality guide dedicated to self enquiry and consciousness. Collected articles and much more. A beautifully designed site on spiritual issues and how to use the science of the spoken to word to heal yourself and the planet. Future, futures, futurist, futrtools, millenium, future studies and year 2000 games, links, tools, books and fun for all! The church of the forgotten god is crumbling with age & decaying with every second of mankind's evolution in its mind & soul. Rising Earth is an educational initiative and information service dedicated to personal and planetary healing and transformation. A wonderful collection of writings on mystical and philosophical points of view, and the mystery of consciousness. We are committed to evolving an Earthwise culture, in which humans live in concert with the global living system and with each other. The Halcyon Cosmopolitan Entertainment. Spiritual Megalink Website. Spirituality, Chat, Poetry, Artwork. Submit your artwork to be displayed. Mind Detox is a new book & audiotape by London hypnotherapist and motivational coach, Deborah Marshall-Warren. Berkeley's metaphysics offers an alternative approach to consciousness & psi phenomena (versus Kant's metaphysics). On-line personal and spiritual growth. Information about Advayavada Buddhism, with Questions and Answers section. Important books by Thom Hartmann, about "waking up to personal and global transformation". Spiritual site in portuguese. Dedicated to personal growth and spiritual development. A place to learn, where friends are welcome. Light heals fearful historical darkness. Personal coaching for understanding spiritual significance of dreamtime messages. Duane Elgin's site dedicated to research and learning that fosters a sustainable, compassionate, and creative future. A gathering of resources for saving ourselves and the world. A forum for information, observations, channelings, etc. regarding these expansive times. An Empath school which offers graduate programs, certificates, and career development for Empaths. Explore our online community devoted to integral spirituality. Features Masters, Gurus, Teachers, Confessors, Realizers, Scholars, Poets, and the Scriptures Behind Them. A peak performance resource of research, ideas, mind machines, subliminal audio and human potential enhancing books for the dreamer in all. Is Peace Of Mind A Reality? This site defines the nature of a meaningful education employing an integrated, multi-disciplinary approach, resulting in a new world view. Our aim is to promote knowledge of non-physical reality, and in doing so, to hopefully make people aware that life is full of wonder. A cornucopia of positive resources for a changing world. Dialogue is a method of speaking and listening in which we create common meaning. This is a brief introduction. Contains writings based on the philosophy of Buddhism. But now, what about us taking charge of evolution? Consciously playing with evolution as if it were a canvas. Spirituality and mysticism and other spiritual and normal links. A site dedicated to gently interrupting our present way of thinking and doing by offering a natural alternative based on "Chiasmic-Awarenes"
Jim Lehrman's site offering spiritual and psychological tools for self development. Excerpts from Stephen Wolinsky's books. A regular guy with 2 decades of spiritual practice discusses his recent awakening. A lot of ideas by an intelligent thinker. This guy site is similar to yours Peter. Great little discussion board. Not necessarily discuss the works of Wilber but the main topics of his works: Enlightenment, spiritual, etc. A Course In Miracles-page in German language - it's time to go home to God's eternal love and peace. Eine ACIM-Seite auf deutsch. This must be the most comprehensive list of spiritual paths on or off the web. Over 15,000 practices and traditions indexed and cross referenced. An intensive encounter with reality...dedicated to the imperative of naturally progressive return of man to his inherent Universal Mind. Ueber "Ein Kurs in Wundern"
On personal growth and spiritual development, this site hosts the Voyager e-Journal, webBoard, chat and email discussion groups. The community of cells in our Human body offers insights in better global management. This site presents a recopilation of the materials edited by the Lucis Trust and its goal is establish a iluminated pubic opinion. Articles, interviews and other resources on awareness training, talent development. Peter & Trudy Johnson-Lenz are truly pioneers in this field. They coined the term 'groupware' in 1978. Merging Science with New Thought. Description & text of several books by U.G. Krishnamurti. I feel this fits well with your work. Continuing research and verification of Theosophy. Hypnotherapy in the service of self realisation. Dedicated to increasing awareness and personal well-being, and having fun! A self-directing, self-organizing community in both form and Spirit, experimenting in what's possible. Thought full insight, Weekly Wizard's Word to the Wise. Links to other Wizards (Peter Russel included). A club for anyone who wants to learn how to learn. MindMaps and memory techniques. Eclectic webzine dedicated to creative, balanced living. Organized by chakras. Includes review of White Hole in Time. Publication dedicated to supporting works of right livelihood, authenticity and vision. Love, healing and peace processes. Tools for accelerating and expanding consciousness! The official site of the Church of All Worlds, a Church dedicated to awakening Gaian consciousness. Louise Hauck offers a perspective that demonstrates the necessity to see beyond the illusion of time and death. Affirmation Software Sculptor Introductory FREE offer! Together with the powerful techniques of affirmations have been combined subliminal messages, audio and visual triggers. Many authors endorse this guys writings. Something completely different. If Botticelli were alive today and on the web . . . By a talented web designer. These homepages bring a spark to the exploration of global consciousness via alternative and "new" viewpoints relative to physics, and to Life. Find out what all 40k psychologists are up to! A vehicle for the translations of dreams. Interested individuals mayjoin one of many groups that translate dreams. A Journey into new metaphors of consciousness. Big FAQ about hypnotherapy, ASCs, healing. We conduct interviews, both chat and email, and send out articles, essays, announcements, and creative works. This website is an online library. it's on using neuro-linguistic programming for the existential quest. Comprehensive teachings in Buddhism, Taoism, and Tantra. Teaching available in English, Chinese...and more. MindMan is a Windows tool for creating Mind Maps. The most serious subjects require a light heart, and a light touch. The web has a cornocupia of spirit information and wisdom tools. THE source for new technology to improve your life by enhancing energy, consciousness and health. Over 1,000 mind machines, tools, tapes, CDs, books and more. Discordian cabal, freedom of information. Non-commercial site offering insightful information on spirituality, personal growth, organizational transformation, and building a beloved community. An Internet Retreat features a daily inspirational thought, a meditation of the week, links to consciousness raising sites, and more. An ever-growing collection of scientific papers on: Altered States of Consciousness, Parapsychology, Hypnosis, Transpersonal Psychology, Human Potential, Meditation, etc., by one of the pioneers in the field. An on-line web magazine focussing on spiritual issues, personal growth, etc. Top of the web charts in S. Africa ! Methods to increase intelligence and control pure states of awareness, consciousness and attention. A range of resources that support spiritual awakening, catalyze growth, and promote healing. Articles, a "chat" area, a spiritual practice area, and meditation schedule. CSP is committed to working through peaceful and lawful means to study the spiritual effects of "entheogens" - psychoactive plants used in a religious context - and is drawing up a code of ethics for such work. Axiom presents lectures, workshops, and seminars by leading authors and teachers - Maui, Hawaii and national tours. Sound tapes with healing properties. "A home page for old souls and deep thinkers. A nonprofit transformational foundation running a glorious retreat center in the Colorado Rockies." Enter Quest develops and enhances creativity, relaxation, and healing. Through research, workshops, books, and unique psychoacoustics that induce deep EEG states.